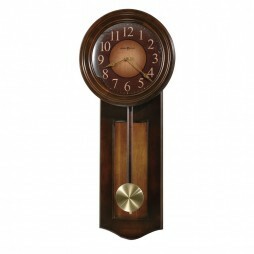 Elegant, charming and delightfully compact, the Howard Miller Reese Wall Clock is the perfect ornament for adding a touch of Art Deco glamour to your home. 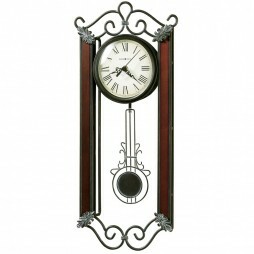 This wall clock with key features which include a case with a sleek black coffee finish and a glass pane with patterned borders also comes with a white dial with Arabic numerals and tapered hands below which a dual-cylinder pendulum bob has been suspended on a metal rod. 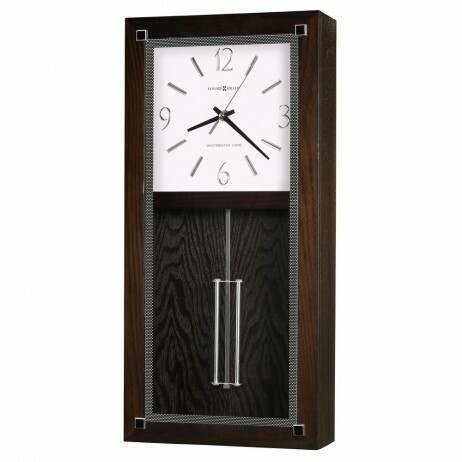 It has also been fitted with a quartz, battery-operated, single-chime movement and an automatic night time chime shut-off. Black Coffee finish on select hardwoods and oak veneers. Flat glass accented by a black border with white dot pattern and polished black and chrome-finished square embellishments on the corners. 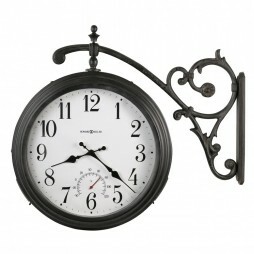 White dial with applied polished chrome-finished Arabic numerals and bar hour markers, black hour and minute hands, and a silver-finished seconds hand. 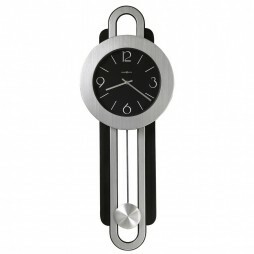 A polished chrome-finished dual-cylinder pendulum bob with metal stick hangs below the dial. 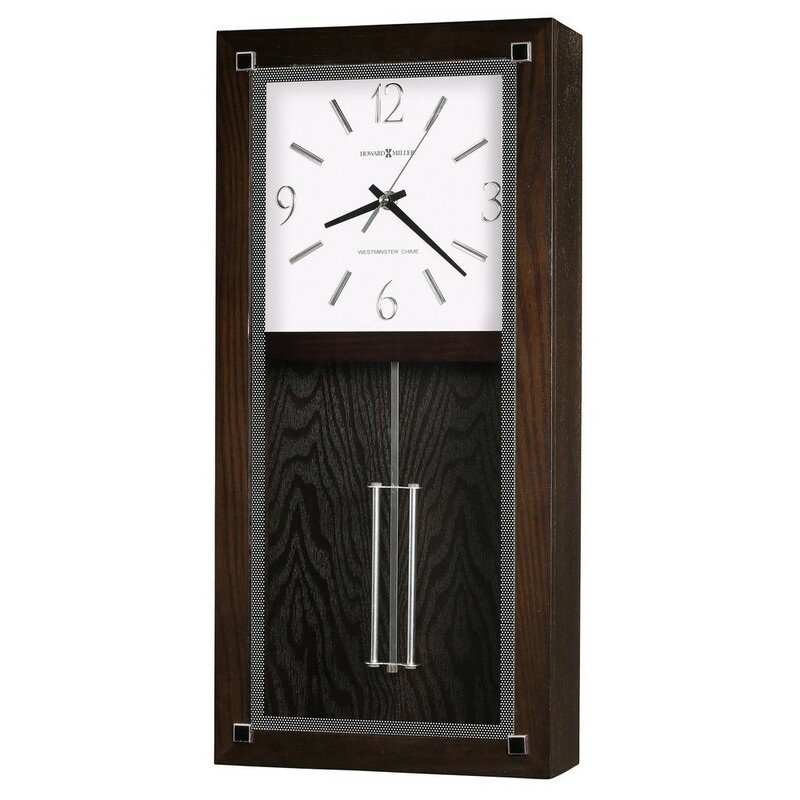 Plays Westminster chime on the hour and counts the hour. Automatic nighttime chime shut-off.